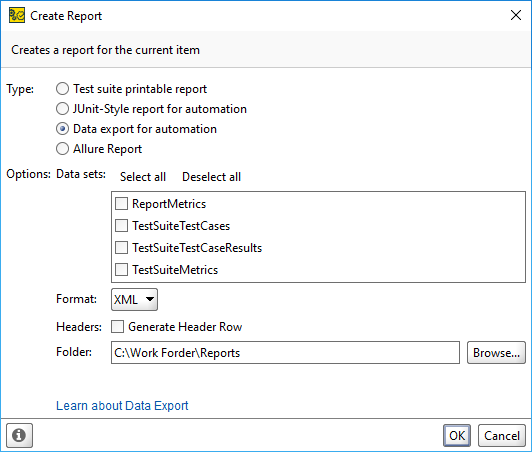 Data export for automation reports in ReadyAPI allow you to export test data to an XML or CSV file. This report template is available right after you install ReadyAPI, so you can use it without any preparations. When the test run finishes, click . Select the Data export for automation type. Select the data sets you need in the Data sets list. This list contains the available exportable data, which may vary depending on the reporting scopes and results. Select a format in the Format drop-down list. For now, select XML. Specify the output folder manually in the Folder field, or click Browse and select the target folder. ReadyAPI will create the necessary files and open the output directory in your file manager. Select CSV in the Format drop-down list. 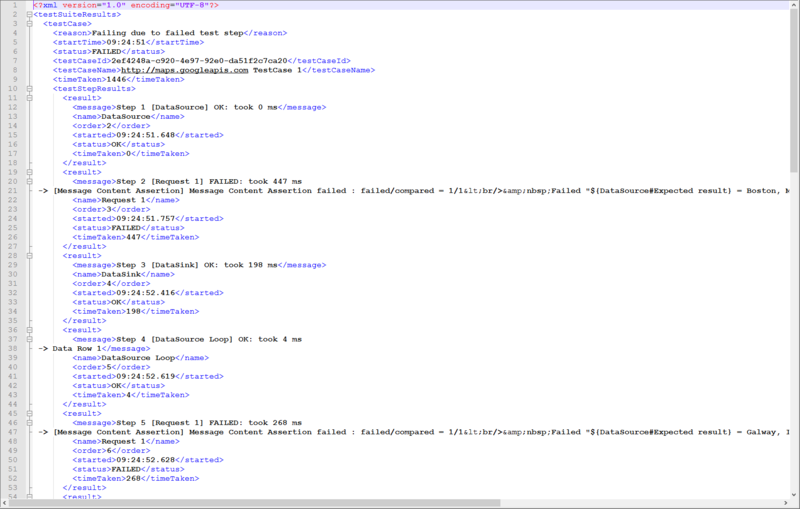 Note: The failedTestSteps and testStepResults columns actually contain reference file names instead of nested values.